At 780mm wide, Chromag's Fubar OSX features a nice, wide grip. It's got 5° of upsweep, and 8° of backsweep, for a subtle but accommodating stance. With 25mm (1 inch) of rise, they sit at a nice, median height. They're constructed out of 7000 series alloy, and weigh a simple 310 grams. Need we say more? Comfortable and eye catching. Just what the photo looked like on color. Glad I purchased! Excellent size and shape, beautiful finish as well. Cannot complain at all. 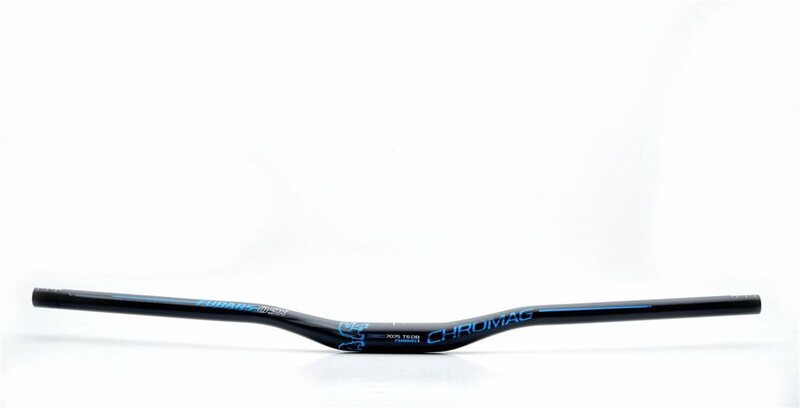 Great bar , color scheme and width of bar is great best handlebar I have tried so far and would recommend you throw a pair on your bike to see for yourself. Bought this to replace the stock Giant Contact bar on my 2016 Trance 2. Stock bar was a to narrow for my liking. This was priced right for the 780mm width I needed. Plus the color was spot matching my color scheme on my bike. 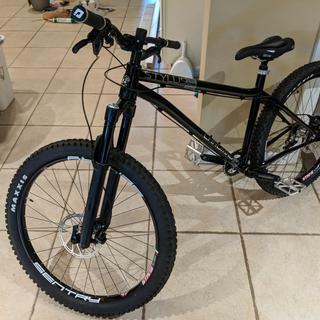 So far it is doing it's job well and I call tell the difference on the trails already. I would recommend this. I had wanted to step up to wider bars for a while but kept putting it off. I am so happy with the change the new bar/stem set up made to my bike. 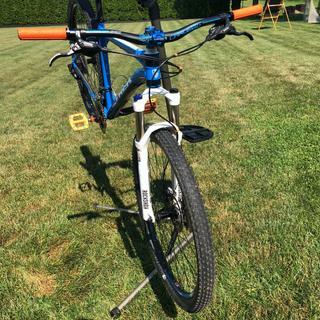 I'm riding a Trek X-Caliber 8 and the stock bars were 690mm and the stock stem was 90mm. The 780mm bars with a 50mm Chromag stem have made the handling livelier at lows speeds and more stable on fast, flowy sections. I cannot recommend these enough, the difference from the stock set-up is massive! Nice sweep and bend to the bars. Width is good too, although if they came in 800mm I would have gotten those instead. Just quickly noting that my 31.8mm, 780mm, 25mm rise, Black/Cyan Blue bar weighed 337g. 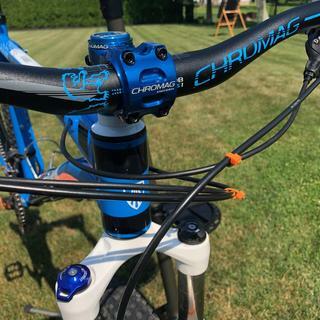 Chromag handlebars are a fantastic product. The rise and the width on the bars is perfect. The purple color and finish is fantastic as well. Great product. 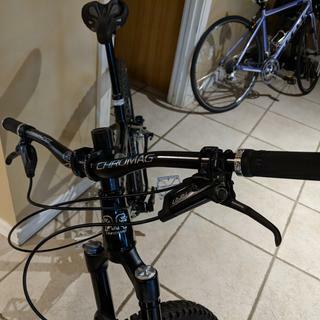 Wife loves her new purple Chromag Fubars OSX handlebars on her Liv Intrigue. These bars are awesome. They look amazing. The detail of the decals is great. They are nice wide bars. I put these on my dirt jumper. You can't beat the value. Really nice looking and quality so far is great. Color is nice, the purple isn’t cheap but has depth. I love the look and finish on these handlebars. I replaced my stock ones and can tell a huge difference in comfort already. 3rd set of bars from these guys. Each one has been a product I've loved. Would def buy again. Purchased these for a high end DH build. 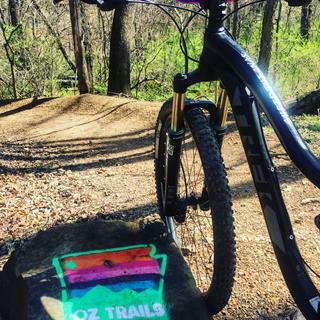 I haven't got them on the trail yet but they have a great feel and very nice construction. The new graphics look pretty cool too. My go to, although tough to get as the inventory flies. 780mm is perfect. The finish is great, and light enough. The bars look amazing. The color and clear coat look very well done and robust. The grips I got fit perfectly and the stem was snug as well. Great bars, very pleased. Lightweight, looks great and has alignment indicators to make adjustment easy. If you're looking for a reliable, good looking, and wide set handlebar - look no futher. Well... that is of course if you're still running 31.8 clamps like I am. Love the look - the green matches my Yeti green. the rise and sweep are perfect. This bike should have came with these bars. This bar is great. I repurchased because I like the style and finish for my bike. The only issue I have is that sweat starts to corrode the bar under the hand grips from salt over time. They've got a nice rise and sweep, and the graphics are pretty spot on for tricking out your rig. other than that , what else is there to say, they're handlebars. Like the colors will match my bike well. 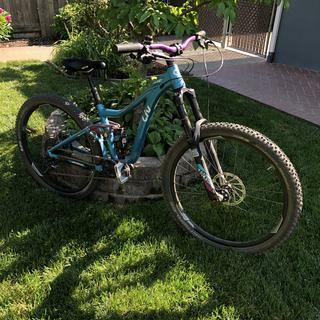 This bike a Motobecane Fantom 29er Full Suspension is mainly ridden on single track and mode of transportation versus driving. Would you recommend?